We visited Queen Charlotte Sound for the first time in 2002, and the complex terrain, impressive scenery, and variety of fabulous anchorages have lured us back almost every year since. The maze of islands that border the waterway have become our favorite cruising ground. If we could cruise only one area season after season, this would be our choice. The adventure level ranges from sheltered waters to open ocean to rampaging tidal rapids. We can laze in a tranquil anchorage, go for a hike, or take in the beauty of a complex ecosystem that includes whales, all kinds of waterfowl, and colorful tide pools brimming with life. Soft sand beaches and rolling surf give the outer islands a surprisingly tropical ambiance. The region feels like a pristine wilderness and will likely stay that way. More than half of this area is protected as British Columbia&apos;s largest marine park, the Hakai Luxvbalis (pronounced "hack-eye looks-bal-eez") Conservancy Area. 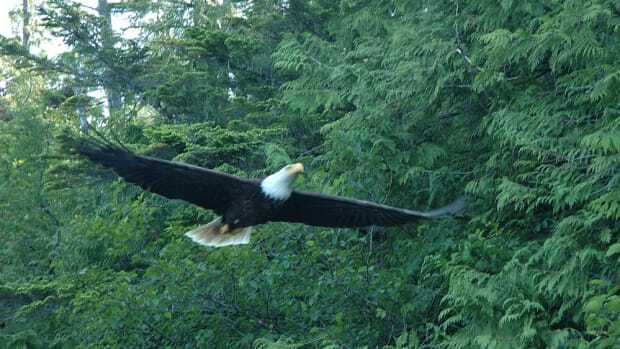 At 475 square miles, the reserve is 10 times larger than the 45-square-mile Broughton Archipelago Marine Park and 15 times larger than the 32- square-mile Desolation Sound Marine Park. Another 57 square miles was recently protected as the Outer Central Coast Islands Conservancy. Like Desolation Sound and Broughton Archipelago, the Hakai Luxvbalis and Outer Central Coast Islands parks have no docks, buoys, or other facilities for pleasure craft, nor does the rest of Queen Charlotte Sound. Also like those other parks, small communities nearby provide moorage, fuel, provisions, and more. Where Queen Charlotte Sound stands apart is in the lack of crowds. While we enjoyed the scenery in Desolation Sound and the Broughtons, both were somewhat busier than we&apos;d expected. Compared with the size of the region, relatively few boaters cruise Queen Charlotte Sound. Anchoring in company is uncommon, and there have been times when several days have passed with no sign of another pleasure craft, let alone another person. Exploring Queen Charlotte Sound even partially takes many weeks. Here we describe a selection of the unusual, less publicized attractions, along with a few of the more popular spots. Coming from the south, Pruth Bay at Calvert Island is one of the few anchorages in the area that is easily accessible from the busy Inside Passage highway, and it&apos;s rarely empty during the cruising season. In addition to its good anchorages, Pruth Bay offers two excellent attractions: a hike to a radio tower with panoramic views and beautiful West Beach. The path to the radio tower ascends 600 feet along an old 2-mile service road. We walked the trail early one clear morning carrying a picnic breakfast. Just beyond the radio tower, we stepped onto a wooden helicopter pad and looked about in awe. The view was breathtaking; we could see for miles in every direction. We had a wonderful breakfast with the park spread out before us. To the north we could see the prominent triangular peak of Mt. Merritt on Hunter Island, and beyond, the Coast Mountains. Eastward, boats far below us navigated Kwakshua Channel to and from Pruth Bay, their wakes expanding behind them in tiny white streaks. Westward lay the vast Pacific Ocean, plied by distant cargo ships. West Beach is on the exposed western shore of Calvert Island, a short walk from the head of Pruth Bay along a wide path through dense woods. When we first emerged from the trees, had it not been for the driftwood and lack of other people, we easily could have believed we&apos;d been transported to Hanauma Bay in Hawaii. The beach was wide and crescent shaped, with nothing beyond but open ocean. Gentle breakers rolled in on soft sand that was almost too hot to walk barefoot. We paddled and played for hours, and all the while had the beach to ourselves. 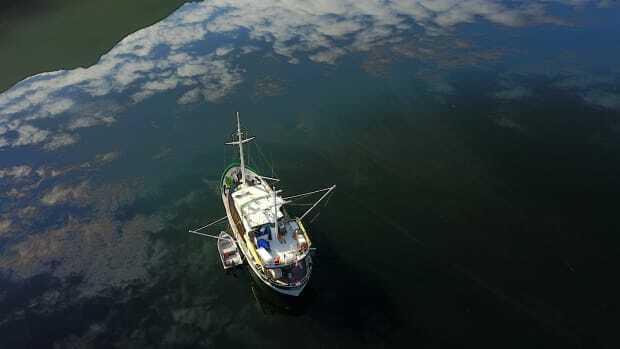 North of Pruth Bay is Spider Anchorage, at the heart of the Hakai Luxvbalis Conservancy Area. This basin lies within a complex archipelago of islets and is popular with recreation seekers of all kinds, including pleasure boaters, kayakers, and scuba divers. Triquet Island, the southwesternmost of the islets that ring Spider Anchorage, is sort of a scaled-down version of the entire region; each cove feels like a different island. We anchored for breakfast one morning in a cove along the west side of the island. Although conditions were calm, the anchorage was exposed to the northwest and felt rugged and windswept. As we ate our meal, we watched a single troller drift slowly north with her fishing poles extended far out on either side. The boat was one of only a handful we had seen in days. Ashore, we stumbled onto a somber reminder of the ocean&apos;s power: the ruins of a thick-planked wood fishing vessel scattered across the sand. We found engine, transom, water tank, hydraulic hoses, and a large rudder bent at 90 degrees. That must have taken some force. In contrast, a cove along the north shore had a decidedly whimsical feel. Thick fog obscured the shore the morning we first stopped there, and we couldn&apos;t see far beyond our boat. The haze lifted to a clear blue sky as we went ashore. We landed on a wide, soft sand beach and above it found a handcrafted "tropical beach bar" constructed from a large wooden spool with a pole through the center. A "Gone Fishing" sign was tacked to an adjacent tree. The fanciful props, the beach, and the blue sky gave the place a decidedly tropical feel. Behind the bar was a marvelous and carefully built tiny wilderness cabin, complete with a shingled roof. We half expected to see a hobbit poke its head out the door. 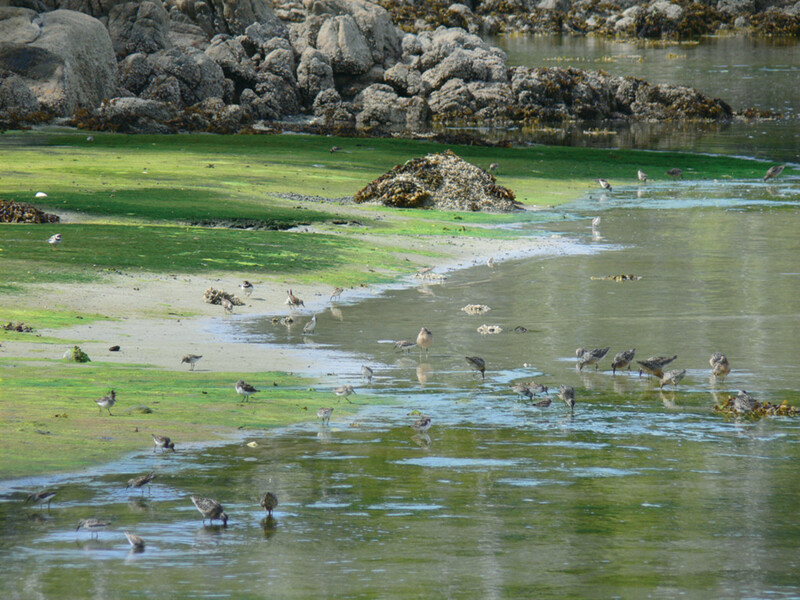 Farther around the island to the east we found another cove with an even more remarkable attraction: a large, sheltered lagoon that was absolutely packed with shorebirds. At most other places on Triquet Island, there is the constant background noise of surf rolling ashore, no matter how calm the conditions. At the lagoon, the churning of surf was lost in the shrill chirping of birds. Many of the names of geographical features in Queen Charlotte Sound reflect two distinct cultures. "Hakai," for example, is a Heiltsuk word meaning "wide passage." The Heiltsuk people have lived here for thousands of years, and their main population center is now at New Bella Bella, on the northeast corner of Campbell Island. Other names given to the islands, channels, and lagoons, such as "Spitfire" and "Hurricane," stem from World War II, when the Royal Canadian Air Force established a base at Shearwater, on Denny Island. To orient themselves, the pilots named geographical features after fighter planes. On Spider Island, northwest of Spider Anchorage, you&apos;ll find more WWII history amid the substantial ruins of a 1940s radar station built by the Canadian air force to provide surveillance of the Pacific Coast during the war. The facilities included 12 buildings, two docks, and a 2-mile road that ran from the northeast corner of the island to the western extreme at Breadner Point. During one visit, we tried reaching the station site from the old road across the island. The road had been solidly built, with bridges in several places where the land was uneven or steep. One-quarter of the route led us through thick brush; here, the wood plank road had almost completely rotted away. The brush alternated with open bog, where the road was more obvious and the going a little easier. The hike was strenuous, but we enjoyed exploring this bit of history. After about an hour&apos;s hike, as we neared the western end, the road descended to the isthmus through almost impenetrable brush and boggy terrain. At that time, we didn&apos;t know if there was anything worth seeing at the old site, so we turned back, climbed a nearby hill, and consoled ourselves with the sweeping view from the top. We eventually reached the old station site by taking an easier route, landing our dinghy near the western shore and picking up the road from there. Thick growth obscured the path, but we had to travel only a few hundred yards to reach the station. And ruins there were! We found an old generator room and what we believe was the barracks for the radio and radar operators. Inscriptions written on the walls with drywall chalk recorded the names of decades of past visitors. We added ourselves to the list. The brush opened up behind the buildings, and we found ourselves on the edge of the bluff at Breadner Point. Here we saw a substantial concrete support with pyramid-shaped extensions on each corner, likely for the radar. One reason the military had chosen this site for the station became abundantly clear: the unimpeded view across Queens Sound to the Goose Group and beyond. Standing near the edge of the bluff was exhilarating-it was a long, dizzying way straight down to where waves crashed continuously against the craggy shore. "Kildidt" means "long inlet" in the language of the Heiltsuk. Kildidt Inlet is indeed a long inlet, extending 3 miles into Hunter Island from northeast of Spider Anchorage. Entry must be timed for high-water slack because 12-knot tidal rapids block the entrance. The channel is reasonably wide and deep, however, and boats can enter at high-water slack. On one visit, we carefully picked our way through and slowly cruised the length of the inlet. The rapids discourage most comers, and the waterway displayed little evidence of recent human activity. It was as if no one had been there for decades. Even by Queen Charlotte Sound standards, it felt remote. Safely anchored at the head, we returned by dinghy to visit the rapids at maximum ebb. The force of the current was impressive. The passage we had recently transited was now a churning river with standing waves, whirlpools, upwellings, and overfalls. The tide level was dropping rapidly, with the water pouring visibly downhill. Standing cautiously on the recently exposed reef at the narrows, we watched a log shoot through in about 20 seconds. The turbulence was both spectacular and frightening. The falling tide revealed a remarkable variety and quantity of colorful life. The reefs on the faster-current east shore were coated with vibrant pink coralline algae and were packed with tide-pool life: strawberry, aggregate, and giant green anemones; soft, cup, and tide-pool corals; purple and ocher sea stars; leather stars, chitons, and limpets. Near low-water slack, calm pools on the west side held more treasures: giant red sea urchins, pink branching hydrocorals, tiny tide-pool sculpins, coralline seaweed, sea staghorn, giant barnacles, California mussels, purple shore crabs, ribbed whelk snails, and in the deeper pools, kelp crabs and sea pens. Tide-pooling offered all the beauty of a scuba dive-without getting wet. The Dodwell Group is our name for the group of islets off the south end of Campbell Island, including Dodwell Island. We like these islets, as they contain several good anchorages, and the wonderfully convoluted waterways make for excellent dinghy territory. In particular, two large lagoons nearby are interesting to explore. We&apos;ve spent ages touring about in the dinghy with the boat tucked away in a sheltered cove. We explored the second lagoon on our most recent trip. This lagoon had narrow, shallow tidal rapids at the entrance and could be entered only by dinghy near high water. Colorful high-current sea life covered the entry channel walls. Inside was another rapid, and at the extreme head we saw two fish traps. Native fishers had built them by piling boulders to form a small pool. When the tide rose, fish entered the pool; when the tide fell, the fish were trapped inside. We also found the remains of a more modern fishing endeavor. An old fishing camp, including living quarters, a generator hut, and a small dock, was tucked onto a tiny islet within the group. Within Queen Charlotte Sound, the McMullin Group impressed us the most. The islands contain the finest beaches we&apos;ve seen in this region, and the scenery is simply amazing. 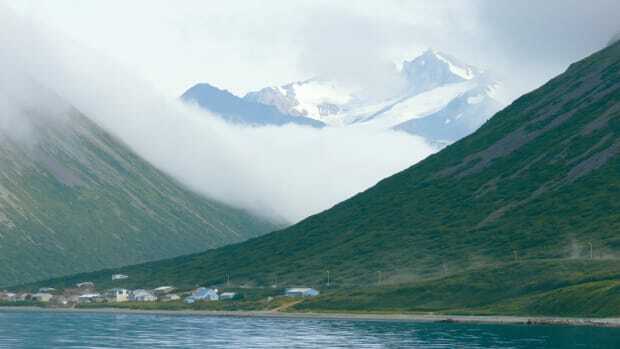 The group has good temporary anchorages, but no all-weather protection. The best way to visit is to make a day trip in calm conditions, arriving early in the morning and leaving before the afternoon winds come up. The islands&apos; outer reefs create a sheltered oasis with complex waterways that are ideal for shallow-draft vessels. We arrived on a gorgeous, clear morning and stayed for hours, touring in the dinghy and exploring ashore. The place was full of beautiful beaches of all shapes and sizes. Each had deep, talcum-soft sand and sweeping views east to the remote and snow-covered Coast Mountains. We kept thinking we had found the best beach, until we would round a corner to find an even better one. We enjoyed our lunch on a stretch of sand that boasted 270-degree mountain views, waves lapping gently on three sides, and an accompaniment of roaring surf pounding the outer shores. Queen Charlotte Sound is popular with kayakers, who paddle bodies of water that can feel open and exposed even on a 40-foot boat. At night they camp on sheltered beaches throughout the islands. Whenever we find a nice beach in Queen Charlotte Sound, we often find a kayaker camp, too, usually with carefully built driftwood furniture. The McMullin Group is no exception. The kayaker camp there was above one of the nicer beaches and came complete with a rope swing. We even spotted a sea otter. The only known sea otter colonies in British Columbia range along the outer islands in Queen Charlotte Sound and along the west coast of Vancouver Island. The Queen Charlotte sea otters are a rarer sight, because they are more timid and vanish quickly when approached. The McMullin Group is truly marvelous. Eventually, we had to drag ourselves away as the afternoon winds picked up. Reaching the anchorages in Queen Charlotte Sound from the south requires rounding Cape Caution through an open-ocean section of the sound between Queen Charlotte Strait and Fitz Hugh Sound. We know of many boaters with capable trawlers who don&apos;t feel confident taking on this open-ocean crossing because of weather concerns. Severe storms do occur in the winter, but they&apos;re rare in the summer, and the crossing can be made safely and comfortably in good weather. We&apos;ve easily made the trip in our 40-foot coastal cruiser, Dirona, in conditions ranging from calm seas to 30-knot winds. We&apos;ve experienced much worse conditions in the Strait of Georgia than in Queen Charlotte Sound. The Waggoner Cruising Guide and other resources that can be found in this issue&apos;s Web Extras contain detailed advice on routes and planning for a calm-water crossing. The trick is to plan an early-morning departure to avoid the prevailing afternoon westerlies and to check conditions before leaving. The Environment Canada weather reports are excellent. We&apos;ve never been surprised by strong winds or rough water. The shortest distance between protected anchorages, from Miles Inlet on Bramham Island to Millbrook Cove at the mouth of Smith Inlet, is about 22 miles. This trip requires less planning than the 26-mile run from the west end of Cordero Channel to Port Neville en route to the Broughtons. A 7-knot boat can make the passage in about three hours and overnight at Millbrook Cove. Or, if the forecast is still good, you can continue all the way across to Rivers Inlet, another 10 miles. Penrose Island Marine Park, at the mouth of Rivers Inlet, provides a good anchorage. Two facilities a bit farther up the inlet, Dawsons Landing and Duncanby Lodge and Marina, have facilities for pleasure craft, including fuel, moorage, provisions, and Internet connectivity. Besides the variety of things to see and do, what we like most about Queen Charlotte Sound is that it&apos;s so free of crowds. The region is only a day or two&apos;s journey from the popular Broughtons, but it feels much farther removed. Even if the boating population were to quintuple, the cruising territory is so large, it wouldn&apos;t feel busy. There&apos;s always something new to discover in Queen Charlotte Sound. We&apos;ll definitely be back for more. For a list of cruising guides and resources, visit the Web Extras for this issue at passagemaker.com. Not a member? Register for free to access the Extras and much more.